Water sports are very popular especially with people today not only because of the adrenaline rush they provide which in sports practice helps strength, endurance, and speed but also because of their numerous other health benefits. Water sports provide you with the complete physical exercise of the body while also managing to be fun for those people who enjoy the water. They strengthen your core muscles while also working your arms and legs and studies have shown that people who engage in water sport have greater fatigue resistance, balance and agility, lower glucose and blood pressure levels and a slower aging mechanism than those who don’t and are excellent for stress management. 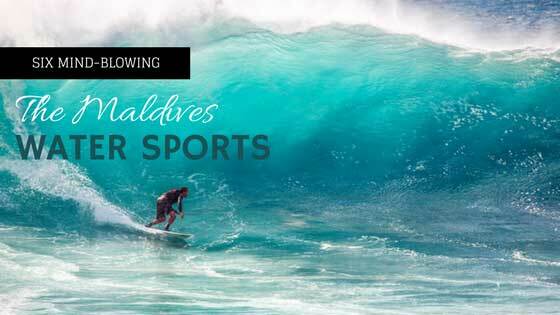 One of the most famous places for water sports is the Maldives, and rightly so, that’s because the Maldives offers a lot of water sports related adventurous kick for tourists so here are six mind-blowing water sports in the Maldives for thrill seekers. 7 Like This Post? Click To Save To Your Pinterest Board! 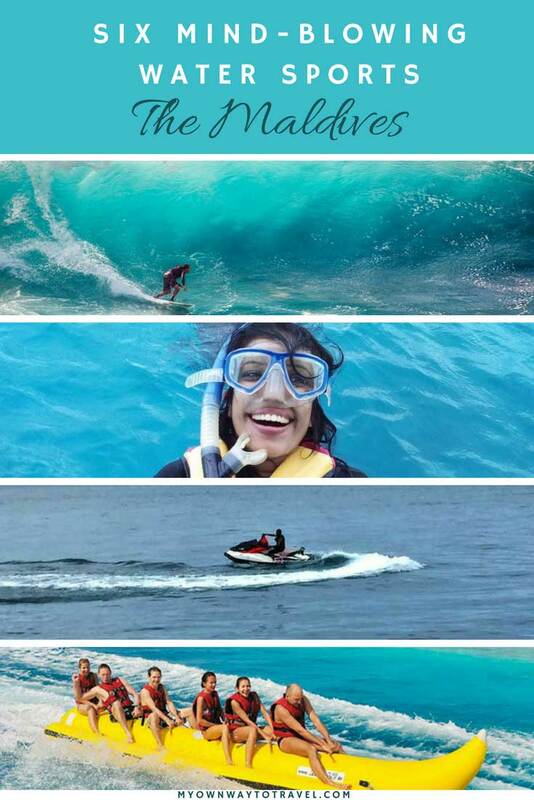 This is one of the most famous water sports among tourists in the Maldives because of its thrilling experience. You get to enjoy the cool breeze of the ocean while swaying over it. The best time for jet skiing in the Maldives is April to October since the weather is neutral at that time and make sure you’re wearing a life jacket with an instructor nearby if you’re a first-timer. Chic Island Resort is the place for you; they have a well-equipped dive center that makes it very safe for the beginners. 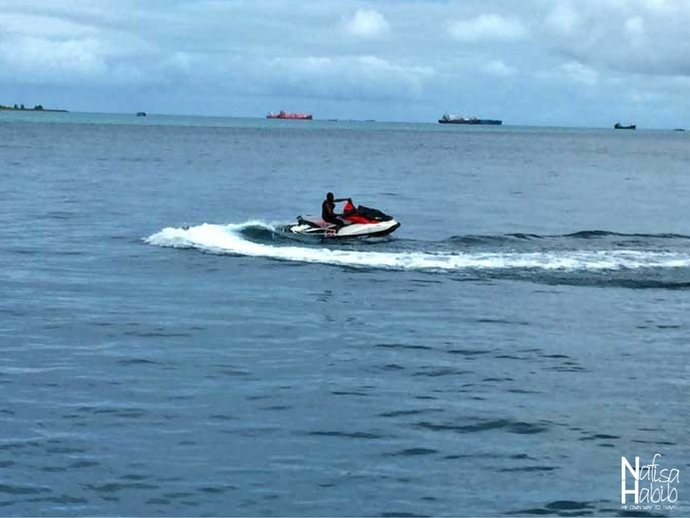 Maafushi and Hulhumale Islands are also best to enjoy jet skiing at an affordable price. Many resorts in the Maldives offer this sport in their packages since this is one of the most exciting water sports out there. Elite Diving Agency in the Maldives is one of the finest agencies you can visit for scuba diving. You get to enjoy the terrific view of the aquatic life and enjoy watching fish only native to the Maldives oceans. It is the most enjoyable watersport which attracts a lot of tourists to this place. The best time for this sport is January to April, and it does not cost as much as other water sport related activities do. Surfing is one of the most common water-based activities out there. There are many physical and mental benefits of surfboarding because not only does it have a positive impact on your fitness levels but also helps you maintain a healthy mental state and a positive attitude towards life. Kurumba Resort in the Maldives is one of the prime spots in the country for surfing. They have experienced instructors who cater to people will all levels of skills whether they are professional or an amateur and they have a lot of affordable packages to choose from. This is one of the most unconventional yet one of the most fun water sports out there. It is especially famous in the Maldives with tourists especially engaging in this activity. The best thing about it apart from the fact that it’s one of the most exhilarating water-based activity out there is that it will only cost you about 50 US dollars. 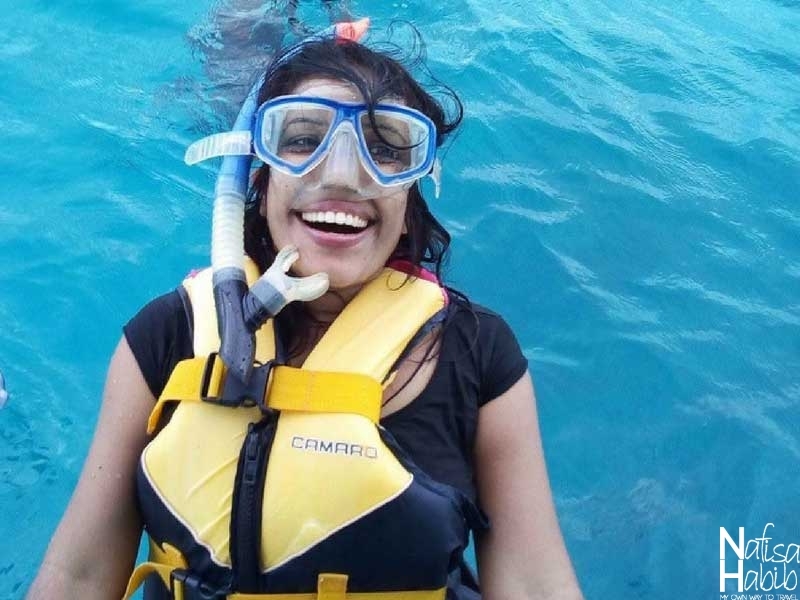 To enjoy an amazing banana boat ride at an affordable price, you need to see Dhilshaadhu Hingun in Male, Maldives. It will give you an experience of a lifetime. 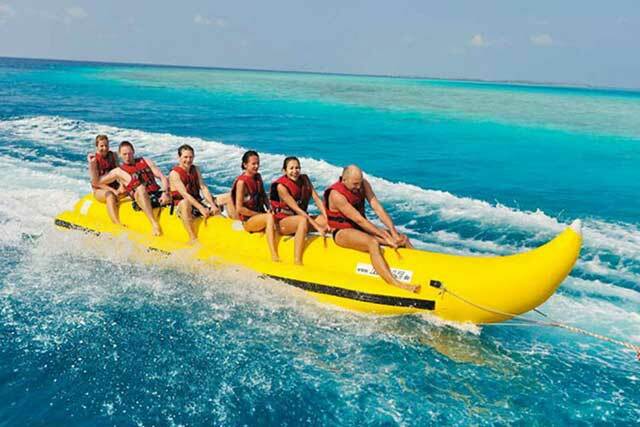 You can also enjoy banana boating from Hulhumale Island. 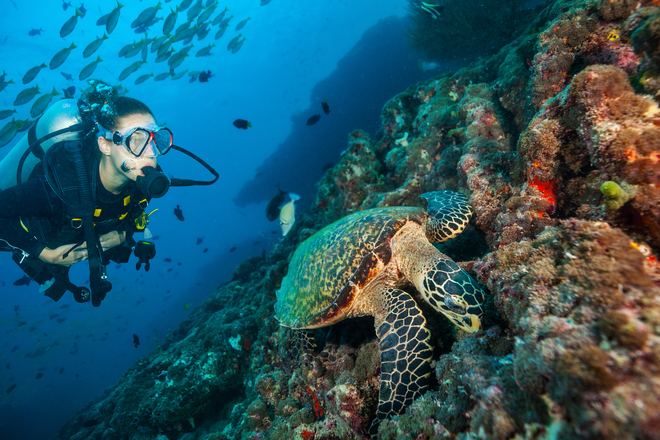 If you’re not big on scuba diving but still want to enjoy the wonders of the underwater, then snorkeling is for you. It requires you to wear a proper snorkel mask, and you go deep enough on a particular point in the ocean to be able to enjoy the aquatic life. Whenever you’re in the Maldives, do not forget to visit Four Seasons Resort to take the best snorkeling experience. The Maldives has a lot of still water lakes that make them ideal for Kayaking. 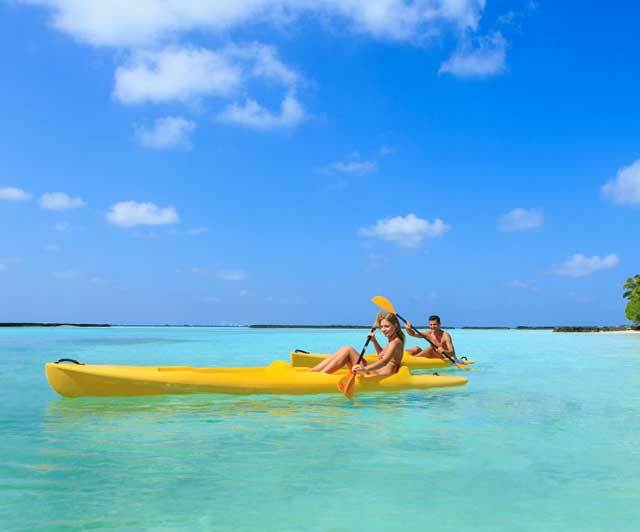 Kurumba Resort in the Maldives is not just famous for surfing but is greatly known for kayaking as well. You get to not only experience the thrill of kayaking but also get to enjoy the beauty of the clear turquoise waters. If you want to plan an excellent kayaking trip, click here. Are you planning a trip to the Maldives? Check out all the details to explore the Maldives on a budget. Share your thoughts. Which one will you love to try among six mind-blowing water sports in the Maldives? Tom is a blogger and a nature lover. 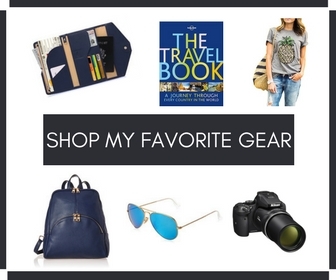 He is obsessed with traveling and adventures and that too with his family. Tom believes that water has a steady hold of him. He regularly writes about his experiences at The Kayak Critic. Those banana boats look hilarious. The Maldives has been on my bucket list for a while. The clear water for snorkelling and scuba diving is just beautiful. Kayaking would be great fun too. I tried snorkelling but definately want to try the others on our next trip to the Maldives, thanks for the tips on times of year to go! Did you go to Maldives from Bangladesh? That picture of you snorkeling is very cute! Thank you, Eliana 🙂 Yes, from Bangladesh. Hi Jag!! Sorry to hear…If you’re looking for Maldives trip details then go for the following link. This is not the particular post where should be included all details about the trip.